What's in a slogan - cfm Distributors, Inc. These are just a few memorable slogans that we all know. Why? They are catchy, short, and it allows us to connect with the brand. Having a slogan produces many benefits and companies of all sizes can and should have one. A well-constructed slogan can really make a dramatic difference setting you apart from others in your industry. If you have a memorable and authoritative tagline this will certainly leave an impression in the minds of consumers. The purpose of a slogan is to give information about key benefits of your product or service and what makes you different from your competitor. It makes people aware of what you are offering and how you are different from everyone else in the industry. Think of this as your “mini” elevator pitch, make it strong and highlight a benefit of your product or service. It will provide future customers with a picture of what you offer. Keep the message clear, include at least one benefit and no more than a few words, keep those words positive and upbeat. A brief catchy tagline goes a long way in branding and identifying your business. Slogans can generate publicity and attract attention to a product or service. There is no denying that historically taglines and slogans have been memorable, pervasive and influential to consumers. As our world becomes more sophisticated and technology driven more and more companies are coming up with clever ways to capture the attention of consumers. Puns, nouns, adjectives and even made up words are just a few ways of capturing that audience. The future of slogans might even be determined by the words and phrases being used, especially when using Google to find a business. Take some time to think about a creative message for your slogan, you’ll be glad you did. Here are some fun memorable slogans, do you recognize them? If you would like help creating a unique slogan give me a call and I can help you make your business slogan stand out from the rest. 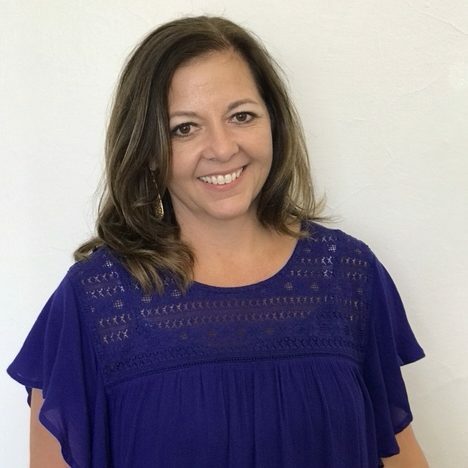 Dealer Marketing Coordinator at cfm Distributors, Inc.
Kellie started with cfm in September of 2017 and has over 10 years’ experience in the advertising and marketing field. She brings a new skill set to the Marketing Department to establish and implement marketing tactics for the York brand as well as providing marketing and advertising planning for our dealers. She has strong leadership skills, experience with digital and traditional advertising and is a creative problem solver.